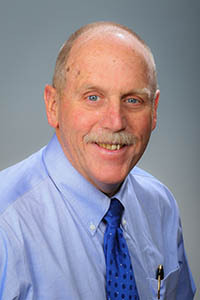 Michael J. McDonough has worked as an executive in the health care field since 1975. The first twenty years of his career were spent in acute care hospitals and joined an emerging health care system in the long term care division in 1995. From 2008-16 he served as chair and professor of health services administration at Berkeley College in Woodland Park, NJ. He also served as a visiting professor of business administration at the College of St. Elizabeth. He joined the Bloustein School as an Associate Teaching Professor of Health Services Administration in 2016, and his work encompasses traditional classroom courses, online education and new course development. McDonough earned a Doctor of Medical Humanities degree from Drew University and also has graduate degrees in economics and health services administration and an undergraduate degree in economics. He is a Fellow in the American College of Healthcare Executives and was elected as the ACHE Regent of the Northern New Jersey area to a three-year term beginning in March 2017. He is also a former Licensed Nursing Home Administrator. For fourteen years, he was the chairman of a non-profit organization dedicated to the preservation of the laboratory and home of Thomas A. Edison in West Orange, NJ. “Engaging the Student with Text” October 20, 2012.